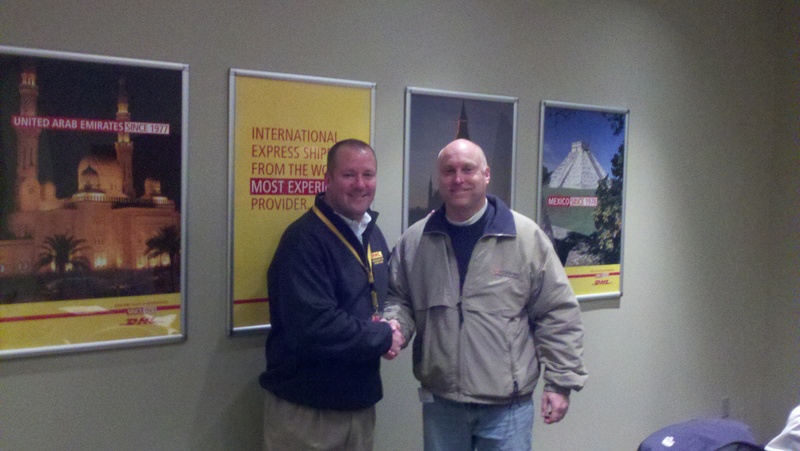 Northern Kentucky Tri-ED Board members and distinguished guests went on a tour of DHL on Friday the 13th, 2012. In order to see the operation in full swing, the tour was from 3am-6am. DHL’s Northern Kentucky operation is their 2nd largest in the world! Most Northern Kentuckians are probably unaware that DHL handles more International shipments out of CVG than their Hong Kong location! With 2000 employees and over 100,000 shipments a day, DHL is a very busy place. And it is growing at a very significant pace. In the last three years DHL has invested over 100 Million dollars into the CVG Hub! Brent got to tour one of their modified 747s and was surprised to learn that they can ship anything internationally. The plane he was on could handle 250,000 pounds of freight!